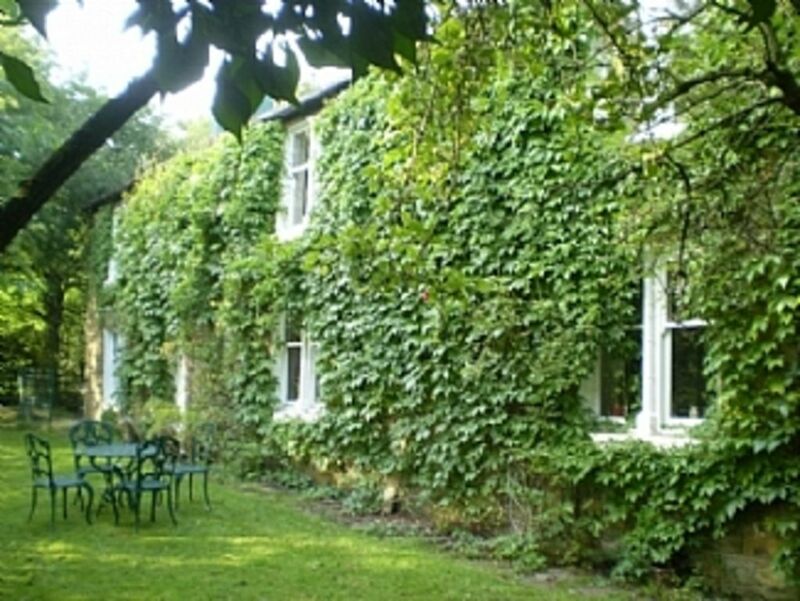 Jordanthorpe Farm is an historic farmhouse on the edge of Sheffield, close to the Peak District, ideal for quiet and cosy Hen/Stag weekends. Jordanthorpe Farm dates back to at least 1660 and has enormous quirky character and charm, with heavily beamed ceilings and a stone flagged floor in the Dining Room. It is a Grade II listed building, with a 3 star grading, and is part of the area known locally as 'Chantreyland'. Sir Francis Chantrey, a famous painter and sculptor was born at the farmhouse in 1781. He was commissioned to create sculptures by four reigning monarchs, the last being Queen Victoria. This is a very friendly house which welcomes all guests, including children and pets. It is situated on the edge of Sheffield, a stone's throw from the Derbyshire border, and is very close to the Peak District. There are 5 bedrooms sleeping a maximum of 14 guests. One of the bedrooms is on the ground floor, making it very suitable for children or the elderly. The accommodation also features 3 bathrooms, a ground floor cloakroom, a large dining room with antique polished pine table to seat up to 14, a spacious lounge, farmhouse kitchen/breakfast room, study, and a conservatory. There is a lawned garden with tables and chairs, and ample courtyard parking for 5 or 6 cars. Free BT Infinity WiFi Internet access is provided, and the Sitting Room TV has BT vision and BT Sport. Additionally there are 2 bedroom TVs available. We totally fell in love with this beautiful, spacious Grade II listed old farmhouse which dates back to around 1660. The house has oodles of character and history, having been the birthplace in 1781 of the famous painter and sculptor, Sir Francis Chantrey. The position is excellent being on the fringe of the city of Sheffield, and yet also close to the countryside of the Derbyshire Peak District. Jordanthorpe Farm is a friendly welcoming farmhouse that lends itself very well as a venue for a group of friends or relations wanting to hold an informal get together in a central location, which is easy to reach for guests arriving from the north and south, east or west of the country. The farmhouse enjoys close proximity to a wonderful park which is a rare breeds centre, and which also has a small animal enclosure ideal for children to see goats, rabbits, piglets, chickens, guinea pigs, deer, etc. There is also a Leisure Centre within easy walking distance with a swimming pool and tennis courts for hire. Jordanthorpe Farm is a central building in a particular area which is known locally as 'Chantreyland' and offers modern conveniences and comfort within an historic environment. En-suite bathroom (1) to bedroom 1, with marbled roll-top bath, heritage wash basin, wc. Bathroom (2) with 5ft corner bath with shower over, bidet, wash basin, wc. Bathroom (3) with bath, electric shower, bidet, wc. Telephone for making outgoing local calls only. Bed linen provided, and beds are made up ready. 2 Fireplaces can be used with logs and coal. A bath towel and hand towel provided for each guest. Large characterful beamed living room with ample comfortable seating and coffee tables. TV, DVD player, music system. Gas Fired Aga, plus a Rangemaster double oven. Aga - 2 ovens (gas fired), Leisure Rangemaster (gas) with 2 ovens and hob with 4/5 burners plus griddle and warming plate. Microwave oven, fridge, freezer, dishwasher, washing machine, tumble dryer, toaster, bread maker, food processor. 2 brass sinks. Large beamed Dining Room will seat up to 14 at one polished pine table. In Conservatory and at tables in the garden. The cot and high chair are shared with our other properties so please request them if required. Outside: There is a courtyard for parking 5/6 cars and a private track leading to the farmhouse. Gardens surround the farmhouse with lawns and flower beds. A conservatory leads into the garden. There are plenty of outdoor tables and chairs provided plus a large charcoal barbecue. Utility Room: Large sink, iron and ironing board. Cleaning / Towels / Linen : Farmhouse is thoroughly cleaned ready for arrival of new guests. Towels and bed linen are supplied, and changed after 7 nights, for guests staying longer than 1 week. Washing and ample drying facilities are available to guests. Other: Spacious heavily beamed characterful dining room with original stone flagged floor, and polished pine table to seat up to 14. Side/serving tables. Door to garden. Fabulous home full of character and felt so welcoming, had some very precious family time and made some beautiful memories. We will definately return again. We were sad to leave. Thank you to the owners for sharing their lovely home. Perfect venue for a wonderful family gathering. Jordanthorpe was the setting for our family gathering to celebrate our daughter's wedding in Sheffield. We had 14 to sleep and everyone was comfortable. The dining room is amazing. Our candlelit wedding eve supper was a highlight of the weekend. Judie and Patrick were really helpful in advance and gave excellent instructions about the use of everything in the house. It is a really characterful place and we will all remember our stay here fondly. Stayed at Jordanthorpe Cottage for a hen do. On arrival I was not sure about it as it is in quite a random location - just off a bypass next to a School! When I got inside I was blown away with how lovely it was and full of character. The property is old and they have maintained that theme throughout the property so it really does keep its character. The facilities are excellent and there is everything you would need for a weekend/weeks stay. They priovide useful items such as cleaning products, bin liners etc so you do not need to take these. The property is ideal for large groups as the lounge area is the perfect size to sit around and chat and the kitchen and dining room have large tables where everyone can fit around. The rooms are all a great size - there was only 1 of the double rooms that was very small but still fine for a short stay. The location is not very scenic but if you are wanting somewhere close to Sheffield then this is the perfect location. It cost us approx £10 in a taxi into Sheffield City Centre. I cannot reccommed this place enough. All my party loved it! The house was perfect for our group of 14, staying for my boyfriends 30th Birthday. It has everything you need; cosy kitchen, large dining room, plenty of space. The house in general has loads of character with lots to discover. The kitchen is also incredibly well stocked. I would recommend the accommodation, and will definitely book again if I need another similar venue. Second visit to this large, old farmhouse. Great character - loved the kitchen range and large dining room. Very convenient location for Sheffield and Chesterfield. Excellent value for money. Nearest bus stop a 10 minute walk with regular services into Sheffield centre. The centre of Sheffield with the usual city amenities, cinemas, galleries, museums, shopping, etc, is only a 20 minute drive away, as is the large Meadowhall Shopping Mall. The attractive market town of Bakewell is also only a 20 minute drive. The Derbyshire border is literally a stone's throw from the property. Many charming Peak District villages are less than a 30 minute drive away, such as Eyam, Hathersage, Castleton, Ashford-in-the-Water and Youlgreave. A lovely park is within easy walking distance of the farmhouse. This includes lots of rare breeds, and also features a small animal section which is delightful for young children, with piglets, chickens, rabbits, goats, deer, etc. The Rose Garden Cafe provides refreshments. There is also a Leisure Centre within easy walking distance, with a swimming pool and tennis courts for hire. A group of local shops lie just 2 minutes away by car, with a large supermarket a little further on, which also has a cafe and garage. Booking Notes: The minimum booking is for 3 nights. Bookings are agreed online or by phone, and payment is made by sending a cheque in the post, or by making a bank transfer, or alternatively by using PayPal (a small charge is incurred using PayPal). 25% is requested to confirm a booking, with the remaining 75% due 2 months before the holiday start date. Changeover Day: Changeover days are flexible according to the requirements of our guests. Notes on prices: 3 night prices are currently from £699 - £799 depending upon the season. 2 nights lets at £100 less than the 3 night price will be considered at short notice (within 4 weeks) if the farmhouse remains available. Regretfully 1 night lets are not possible.